Left to right: Roger Hawthorne, R. H. Cruzen (Captain of USS Bear), Robert B. Wait (Bowdoin 1934), and Mrs. Robert B. Wait. 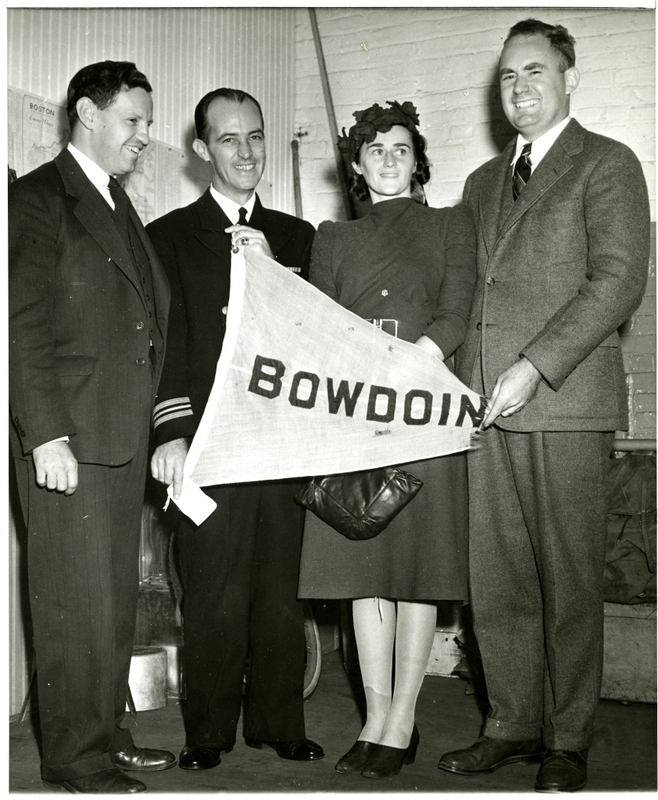 All are holding a Bowdoin banner.